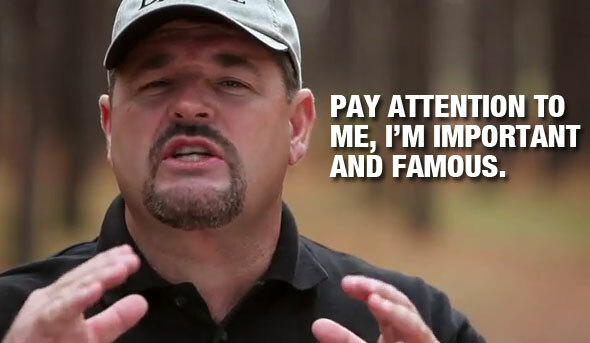 Sadly no one I hang out with would get the Larry Vickers reference. 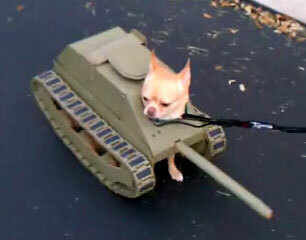 Who wouldn’t like a tank dog though? Anyone have any other good gun related Halloween costume ideas? Is that Poppy in the costume? You’re just jealous ’cause you know you don’t as good in treads as I do. You’re just jealous ’cause you know you don’t look as good in treads as I do. I meant to add “look,” oops. Thats the best use I’ve seen for thoes little rat dogs. I like the AR15 Leash she has! On the one hand, I just love that the treads actually move. On the other hand, unless they are Swedish, put the damn barrel on the damn turret!